Thailand is one of the most diverse, captivating and traveler friendly destinations I have visited to date. If it’s beach fun, shopping, food or jungle adventures you’re after, this is the place for you. I often visit Bangkok. I’m fascinated by its chaotic nature, delicious street food, and creative shopping opportunities. There’s nothing more important than carefully planning your precious travel time to make the most of it! Every minute counts and the best way to do it is to have a local and trustworthy guide. 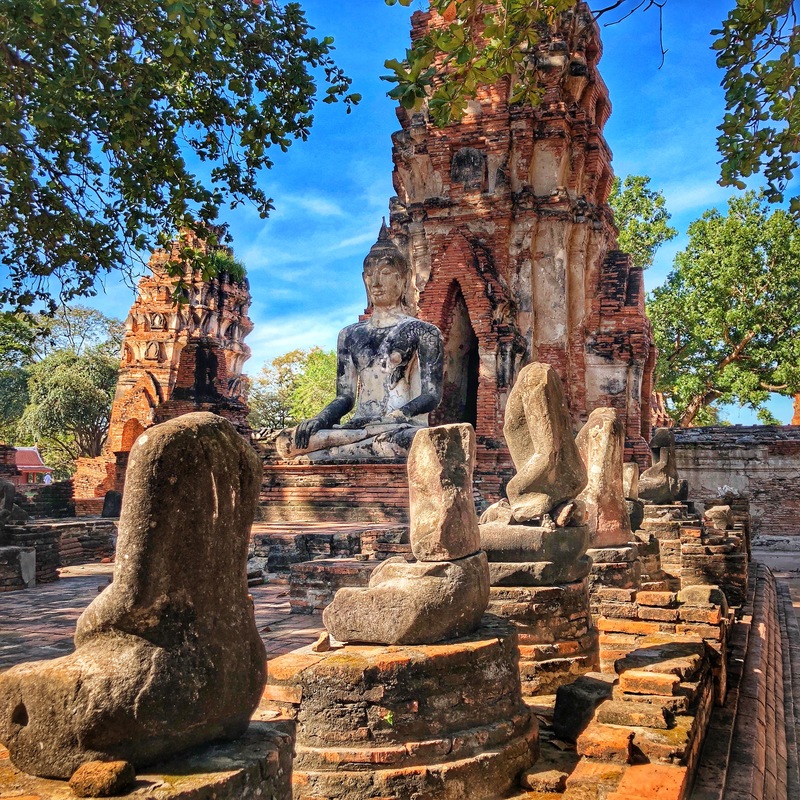 Your Bangkok visit wouldn’t be complete, without seeing one of the most stunning places in Sout-East Asia – the ruins of the ancient capital of Siam – Ayutthaya. The easiest way to organize your trip is to contact my local travel partner thaitourguide.com and let their experienced guides take care of you! Thaitourguide.com offers a wide variety of amazing private tours, knowledgeable local guides, and have all the “know how” for an enjoyable and hassle-free trip in Bangkok and beyond. I do always enjoy their friendly service, easy communications via email and professional guides providing an answer to any questions you may have. Also, the complimentary chilled water and wet tissues in the car is a nice touch. The breathtaking Ayutthaya…“Thai version” of Angkor Wat and ancient capital of the Siam Kingdom, was my main goal during this trip. This mystical, 650-year-old city is easily reachable within one hour drive from Bangkok city center. Thaitourguide.com will take you there in one of their comfortable SUV’s so you can discover this enchanting place at your own pace. They will also ensure you avoid the crowds at the busiest times and take pictures of you at all the best sites while informing you about the local history and points of interest. TIP: start your journey 8am to avoid crowds and make the best of your trip! Explore Wat Mahathat and see the famous entwined Buddha’s head. Walk into the deep tomb of Wat Ratchaburana. Take a break on River Cruise and see how the local’s lives. Don’t miss Wat Phra Si Sanphet stupas. Pay respect to the huge reclining Buddha. Enjoy the peaceful Summer Palace and its gardens. TIP: carry long pants with you to enter all sacred sites! 1. Wat Mahathat : the 660 years old ancient Monastery of the Great Relic was the religious center of Ayutthaya. Its early design was based on the Cambodian Angor Wat temples. Don’t miss one of the most photographed places in Thailand – Buddha’s head entwined within the roots! 2. Wat Ratchaburana : King Borommarachathirat brothers had fought to their deaths in a duel for the royal succession on the grounds of this very temple. Central structure hides a deep crypt where were stored priceless images of Buddha. 4. Wat Phra Si Sanphet : Holiest temple in ancient city of Ayutthaya, until the city was completely destroyed by the Burmese in 1767 together with a Buddha made of 343kg of gold. This trip, or any other, could be as short or long as you wish and can be tailor-made to suit your requirements with thaitourguide.com directly. Don’t be shy, drop them a message and make the most of your stay in Thailand 🙂 ! Follow us on Instagram, Twitter, Facebook & Youtube! Hey there thanks for stopping by. Make sure you CLICK Follow to receive all the news directly into your mail box.posts by email. DUBAI : Visit World’s Biggest Frame ?